JBL reviews the new G.I. 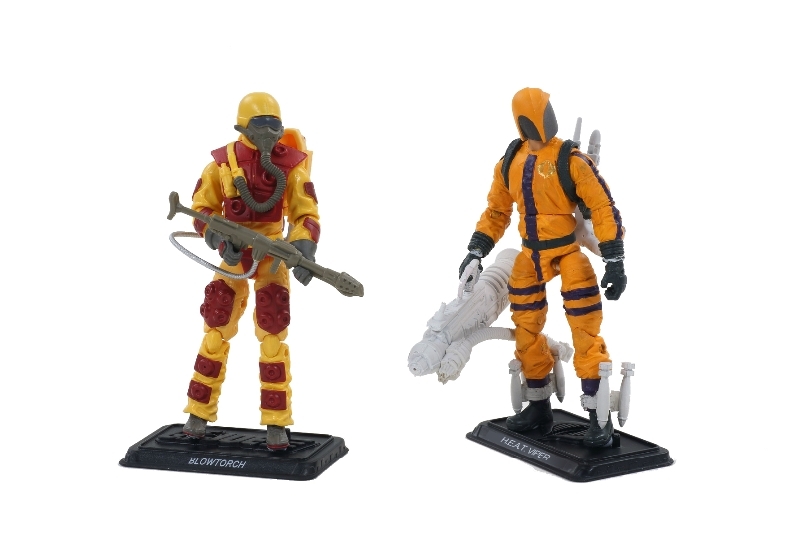 Joe Zombie Patrol two-pack– featuring the reissue of the highly sought-after Zombie Viper! Our server migration is finally complete and almost everything seems to be working on the back end. (FINALLY!) As such, it’s time to get back to business around here when it comes to reviews! For the new crop of 50th Anniversary product I’ll be tackling some of the reissue sets solo. 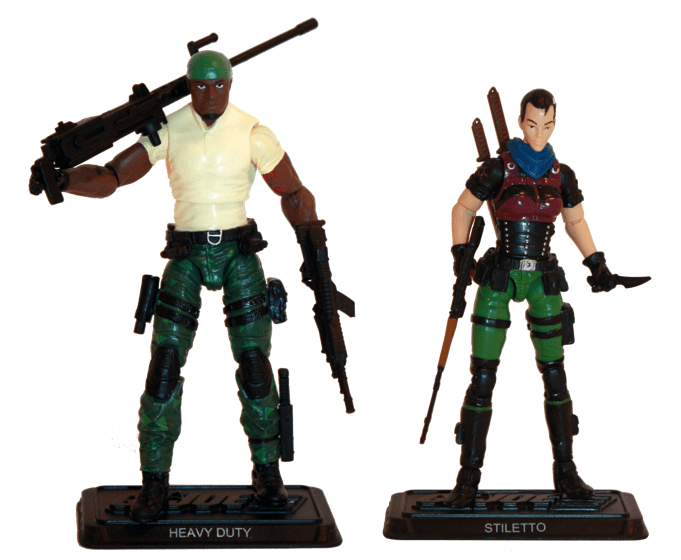 Chris and I will team up for the new release figure sets. 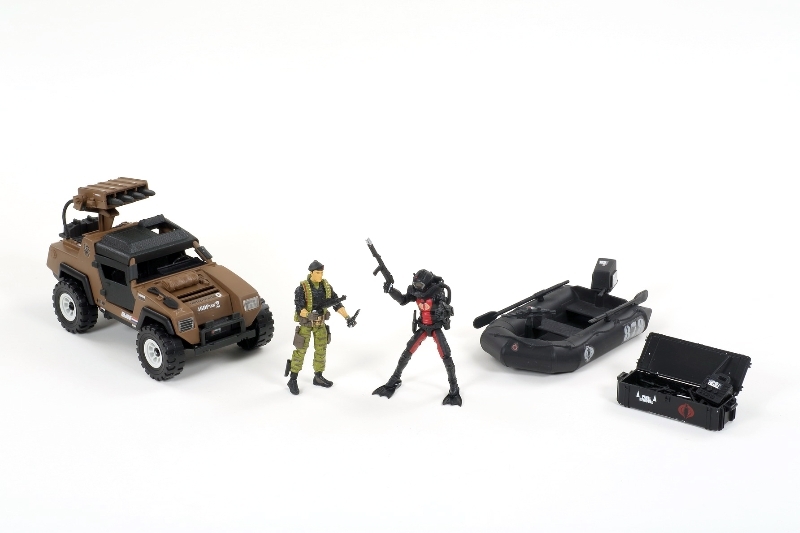 Case-in-point: the Zombie Patrol two-pack! This set was initially released during my self-imposed hiatus from the online community. 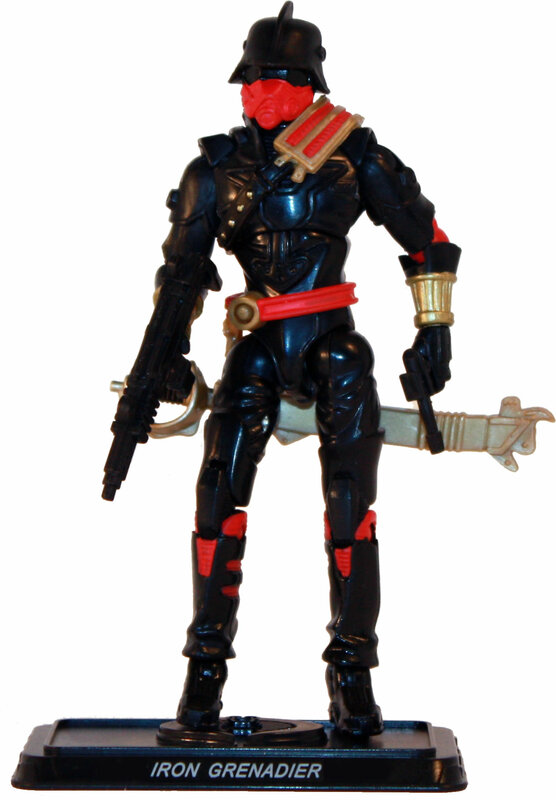 (I pretty much took off the time arom Rise of Cobra through Retaliation.) 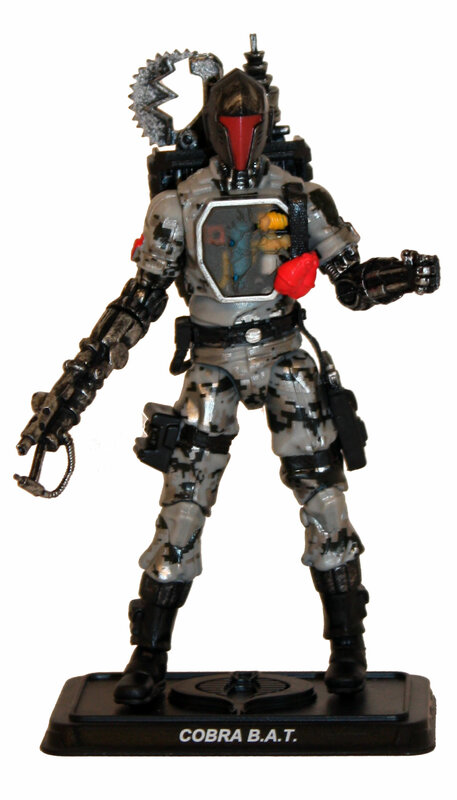 The Zombie Viper was part of the 30th Anniversary line which weaved the notion of the mysterious Compound Z throughout several waves. 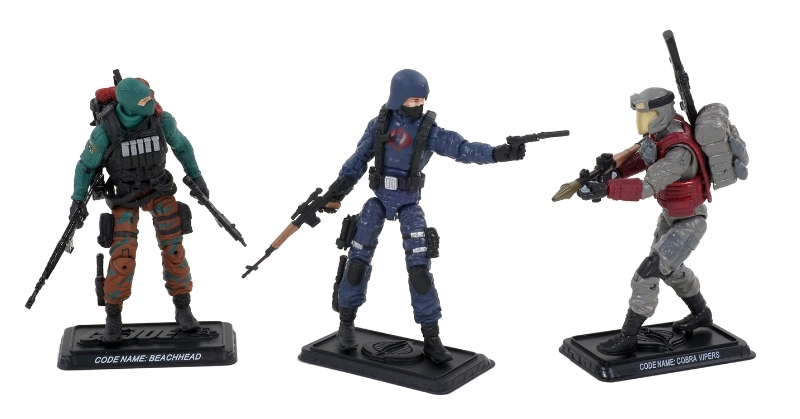 The figures proved to be a hit with fans but were challenging to find at retail and now command some solid prices on the secondary market. 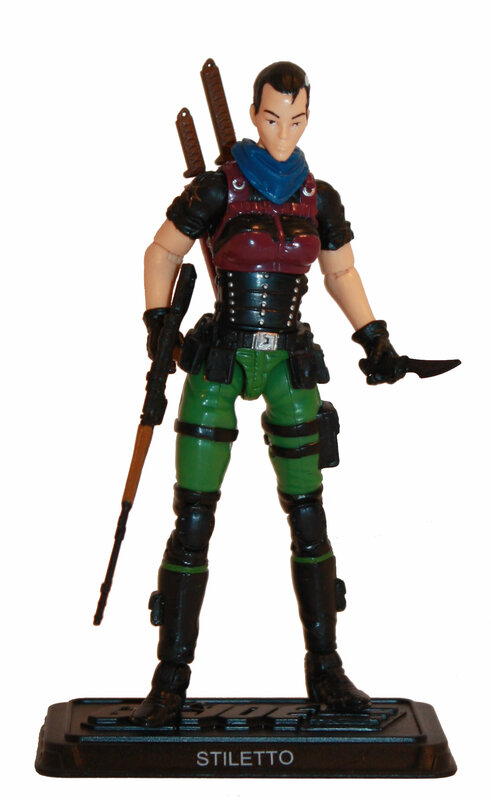 Thankfully, Hasbro listened to the fans and the Zombie Patrol two-pack was released in November at Toys R Us and BigBadToyStore.com. Is this set worth all of the hype? Are the Zombie Vipers all that they’re cracked up to be? Didn’t people get enough of them the first time around? 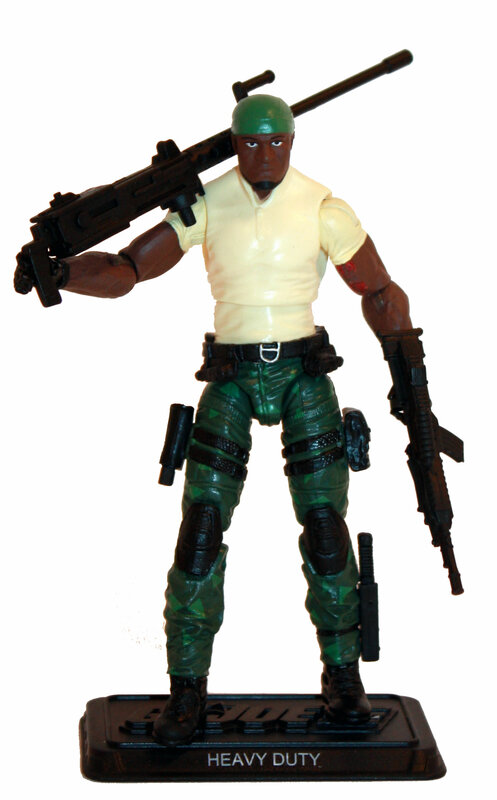 Check out the Zombie Patrol two-pack review over at the 50th Anniversary Review Index and find out one Joe fan’s opinion! Looking for the new 2016 G.I. 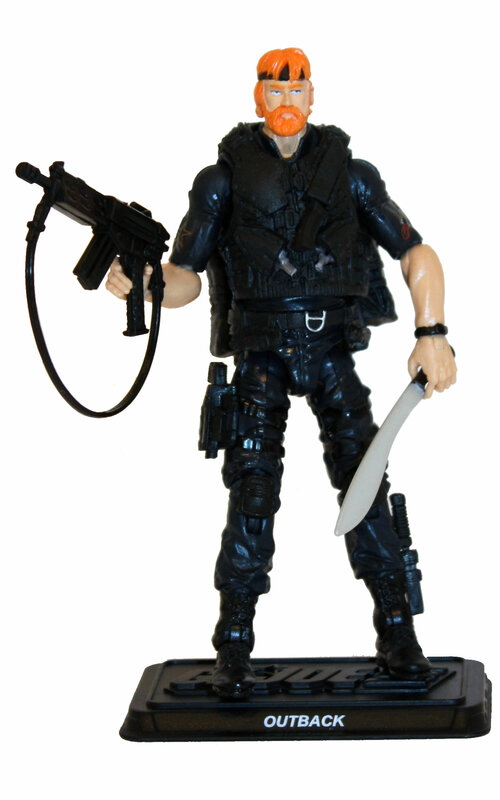 Joe figures and don’t have ready access to a Toys R Us? Look no further! 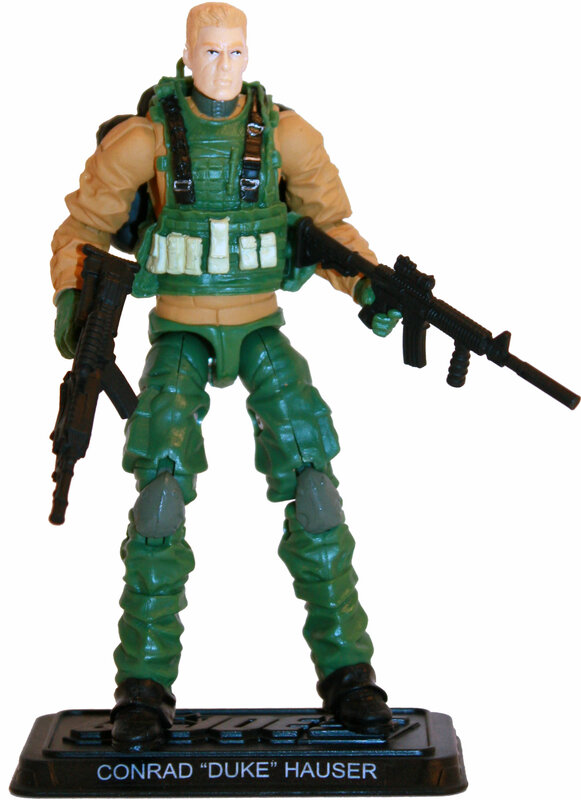 When Hasbro first announced the 2016 G.I. 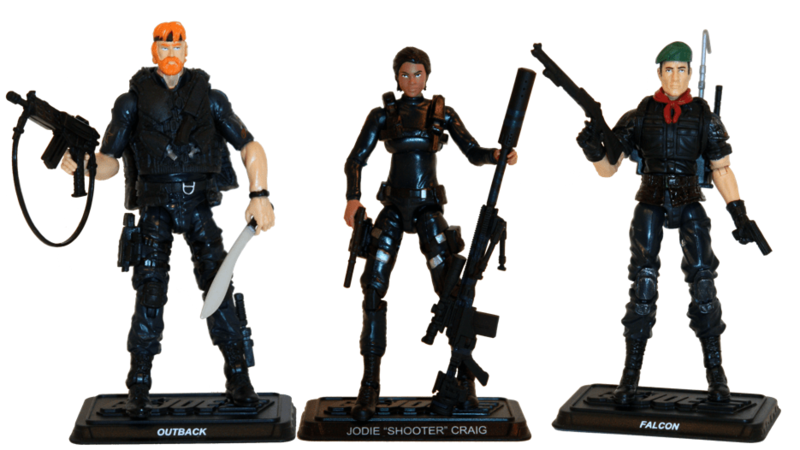 Joe line-up it was stated that these figures would hit retail “November 2016.” In spite of this fact, pre-orders for that line have been virtually non-existent. 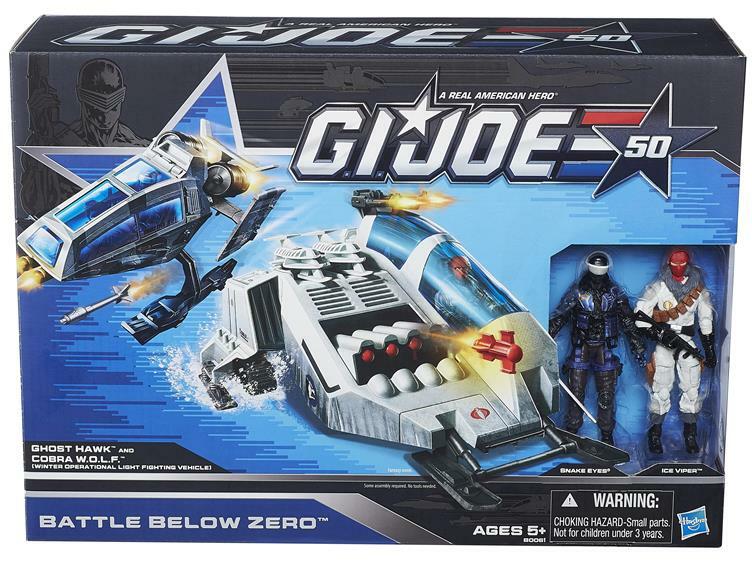 However, over the past few days sightings have started pouring in from various Toys R Us locations ranging from Louisiana to Texas to Illinois where the release date seems to have been broken. 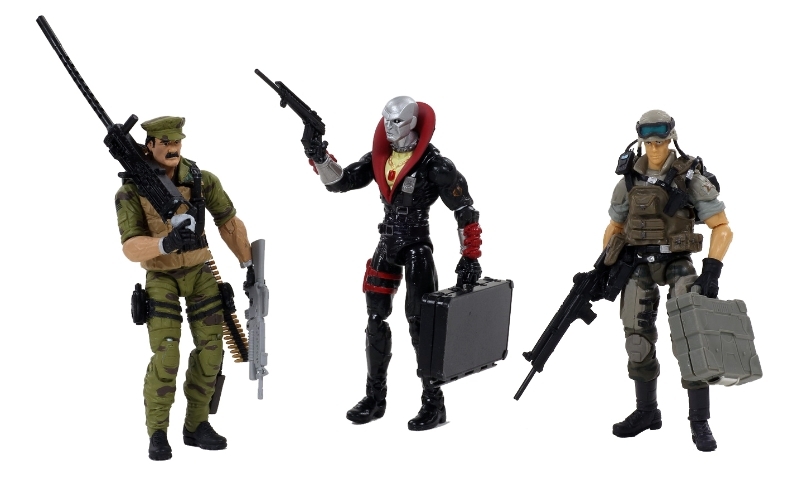 Yesterday, online retailer BigBadToyStore opened up pre-orders for the 2016 G.I. 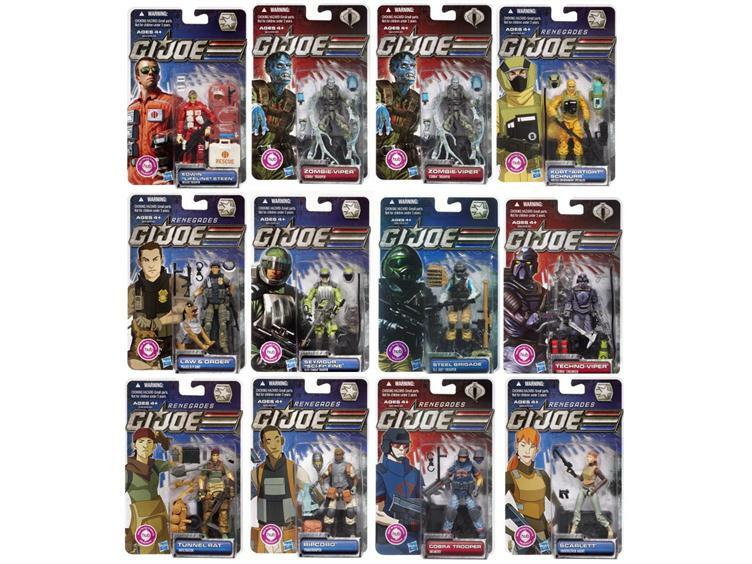 Joe line— from individual two-packs and three-packs to full sets and even cases of the three packs. 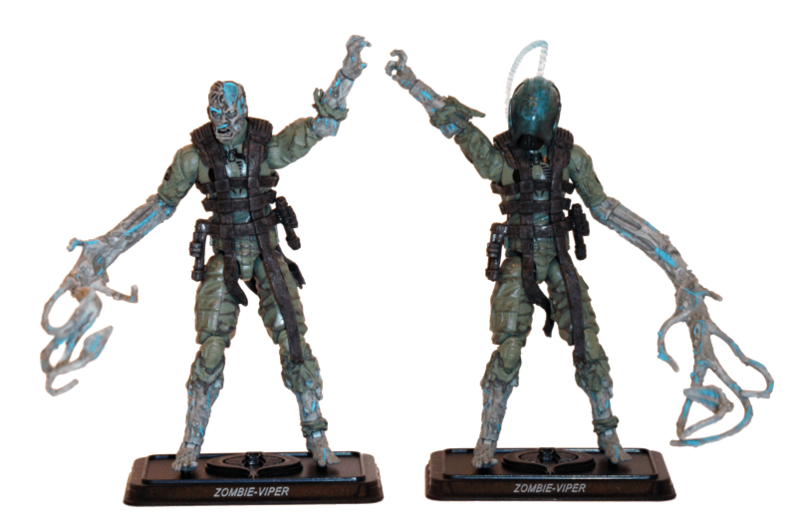 Zombie Horde: Zombie Viper TWO PACK!!! 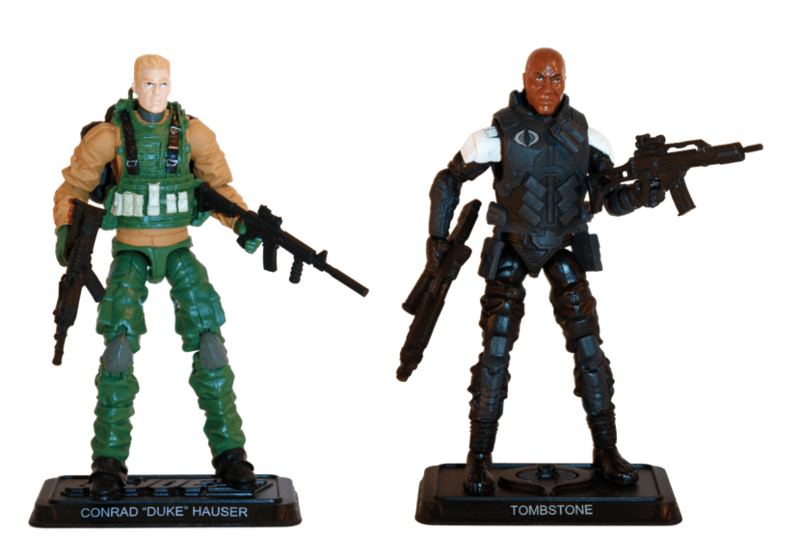 Joe Con 2015: Hasbro three packs revealed! 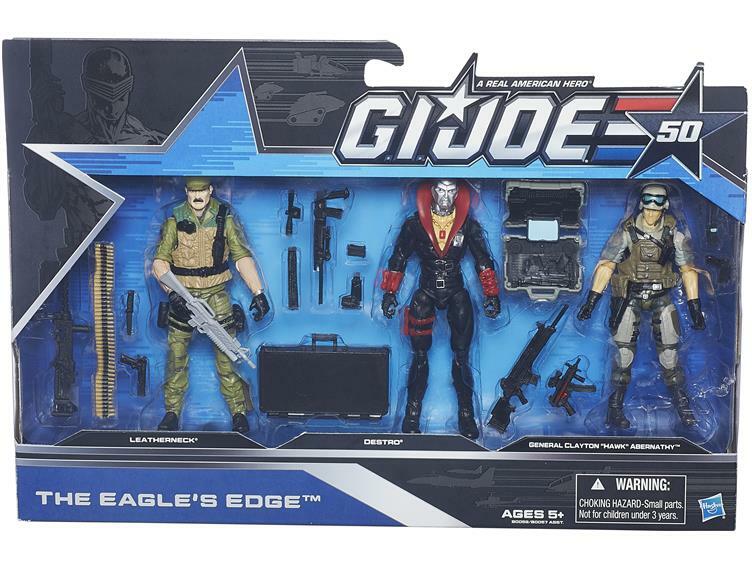 The Hasbro panel was yesterday at Joe Con 2015 and Derryl DePriest and Mark Weber revealed a whole new slate of products that will be exclusive to both Toys R Us and BigBadToyStore.com. 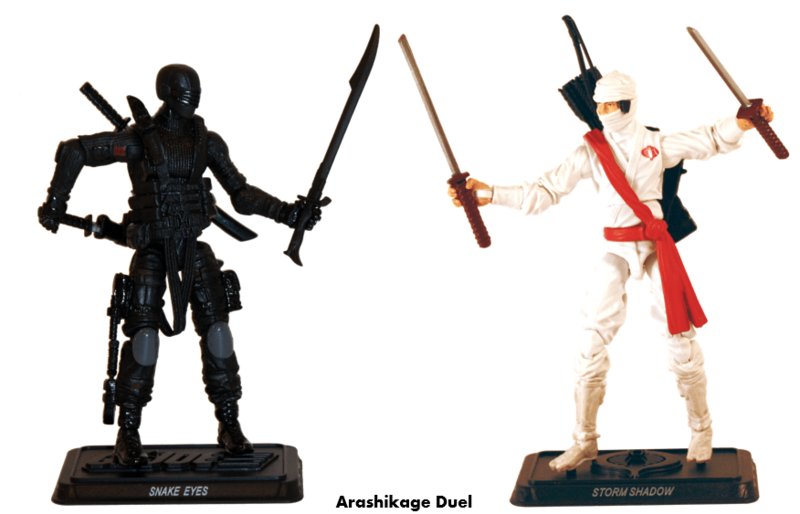 The line is essentially a continuation of the 50th anniversary series and will be available on August 1, 2015. As with previous offerings, it’s a mix of existing parts and pieces that have only been glimpsed in concept cases of previous shows. Joe Con 2015 has begun! Technically it began a few days ago but last night was package registration and souvenir purchasing at the store. In true Joe Con fashion, getting through the lines was a lot like the intended cruise on Gilligan’s Island – it was a 3 hour tour! 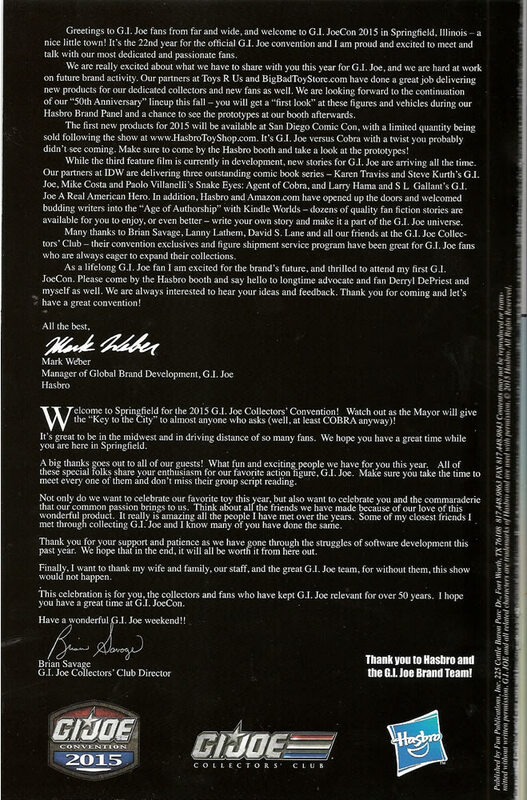 This year’s convention comic contains an introduction by new brand manager Mark Weber which offers some clarity as to the direction the brand will take in 2015. 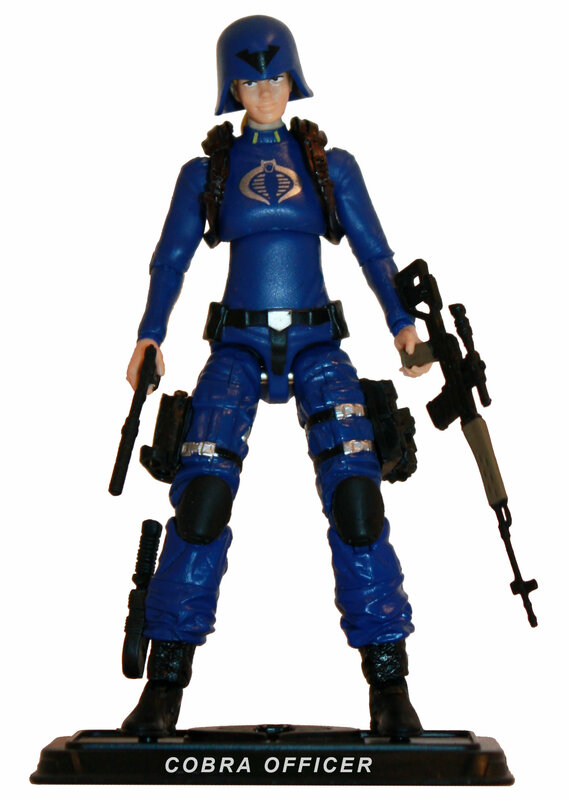 There will be a new SDCC 2015 G.I. 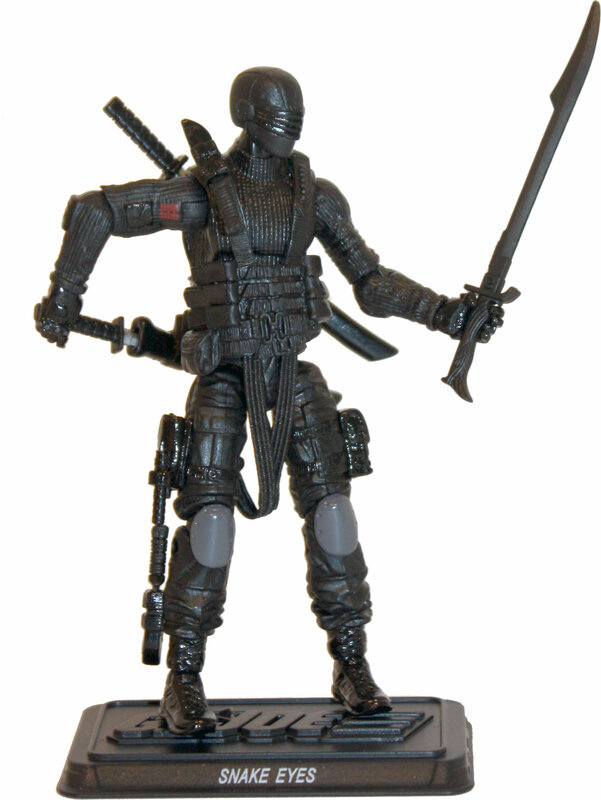 Joe exclusive that will be sold at the SDCC with limited quantities to be available on HasbroToyShop.com later. I’ve included scans below of both the cover and the intro page with the full introductions. Now it’s time to pack the car and head back down to Springfield for Joe Con 2015 day 2! 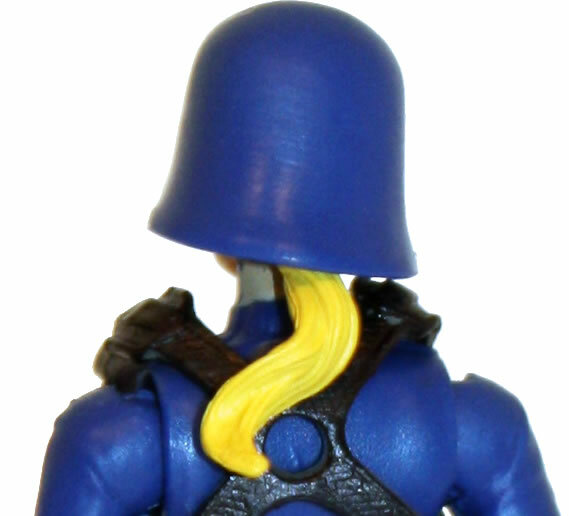 (Really 1.5) Expect some souvenir pictures up on JBL within the next 24 hours as well as new Joe Con 2015 pictures this evening! The G.I. 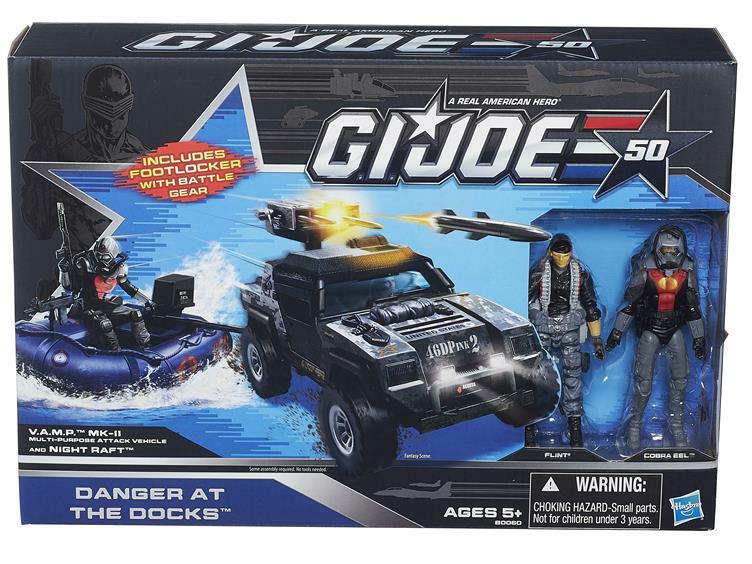 Joe 50th Anniversary line is due out this Fall and apparently it won’t just be available at Toys R Us! Many Joe fans had a bit of a surprise waiting in their email boxes this morning. 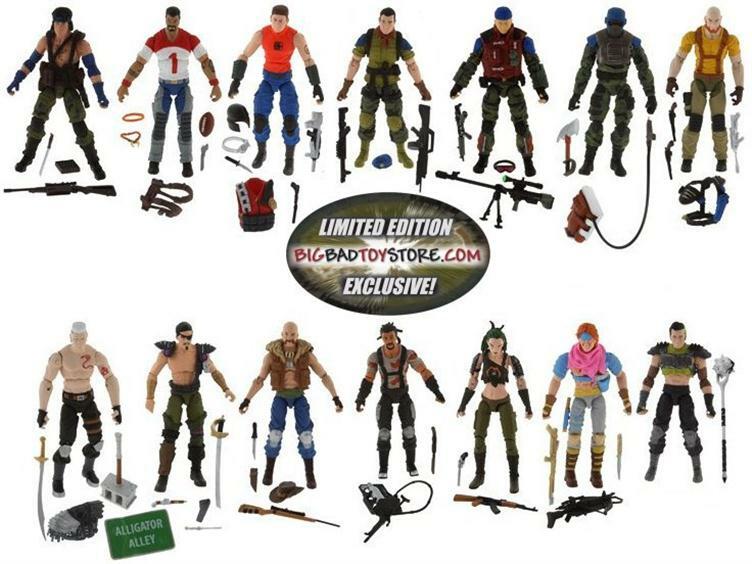 Online retailer BigBadToyStore.com announced that the G.I. 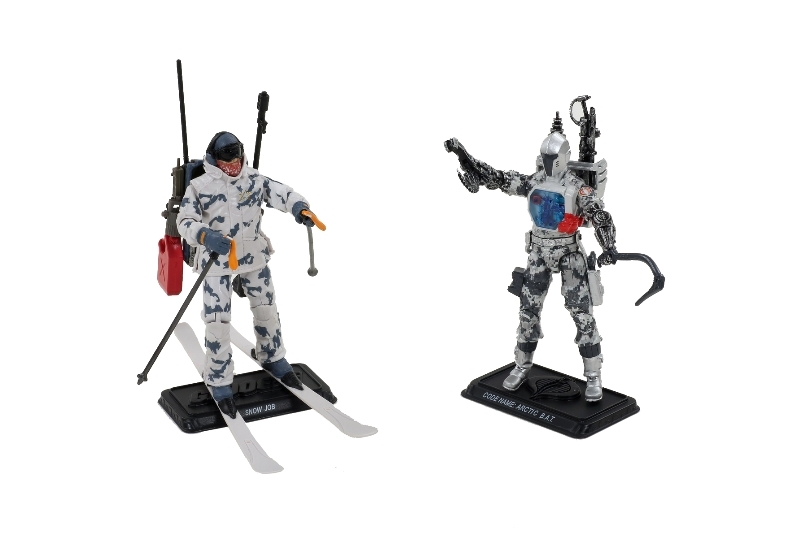 Joe 50th Anniversary line will now be a shared retail exclusive. 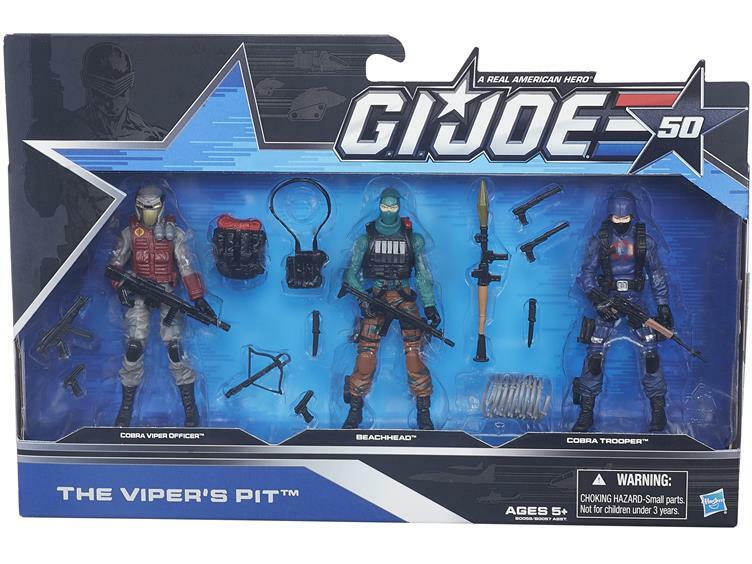 Even more interesting is that not all of the announced packs are currently listed for order– possibly indicating that Hasbro intends to stretch the series out over a longer period and two waves. 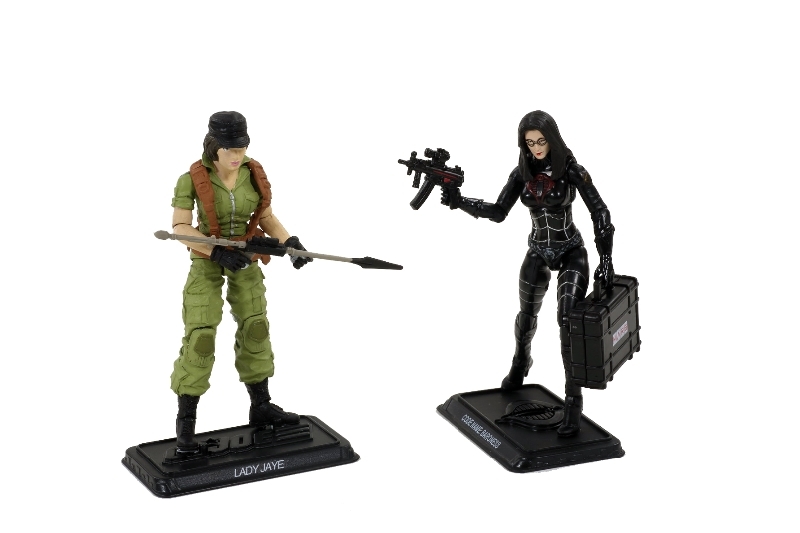 A quick bit of clarification posted at ToyNewsI.com states that Hasbro has no set release date for the missing two-packs featuring the Baroness vs. Lady Jaye and Snow Job vs. a Cobra B.A.T. 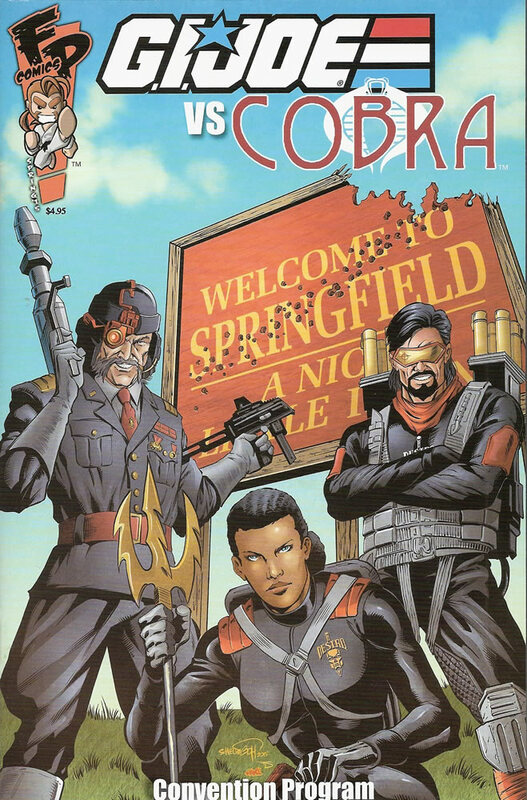 YEAH, who wants to come in and read about Dreadnoks? Anyone? Come on! 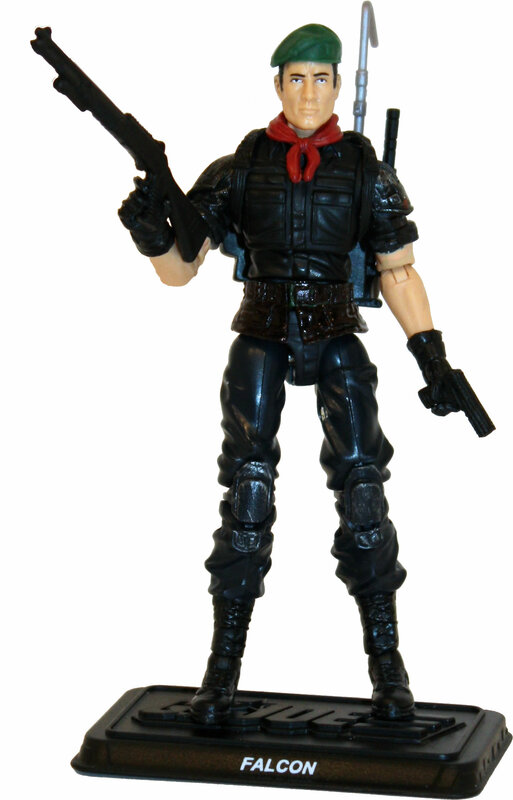 Dreadnoks & Marauders exclusive 7-packs IN STOCK @ BigBadToyStore! Seriously– run, don’t walk and order these today!!! 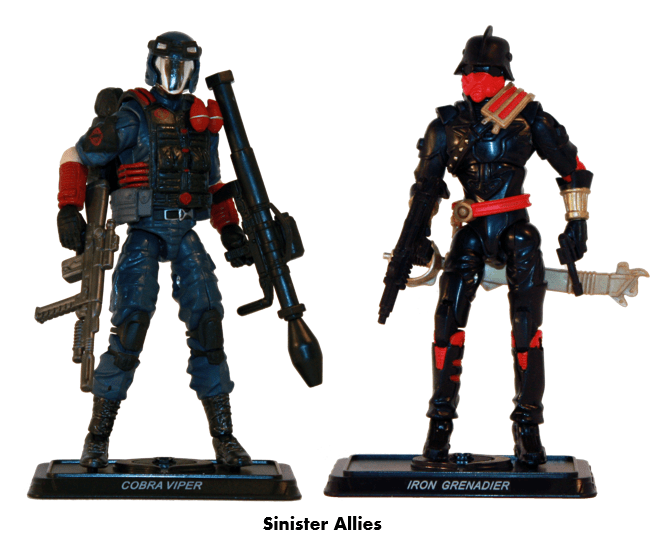 30th Anniversary wave 4 pre-orders hit BBTS, Kokomo Toys, and SmallJoes.com! After a long drought, it seems like Joe fans are about to be swimming in product. 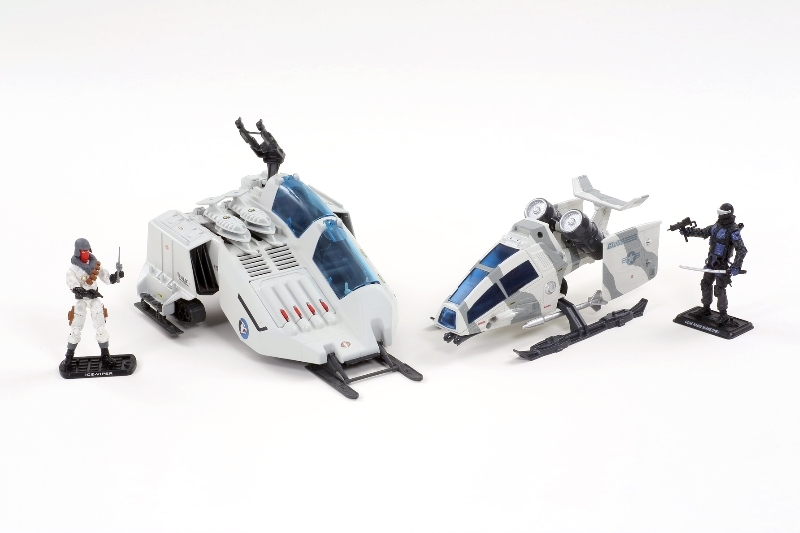 Several online e-tailers have now listed pre-orders for wave 4 of the 30th anniversary line! 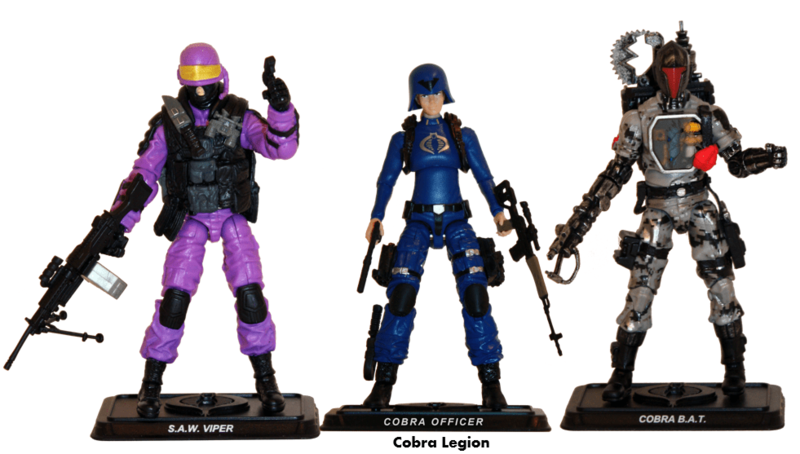 That’s right– at a time when most fans still haven’t found wave 3 at retail new versions of Airtight, Law & Order, Lifeline, Sci-Fi, and the infamous Zombie Viper are due to arrive in early December! I’ll be honest– wave 3 took me completely by surprise. 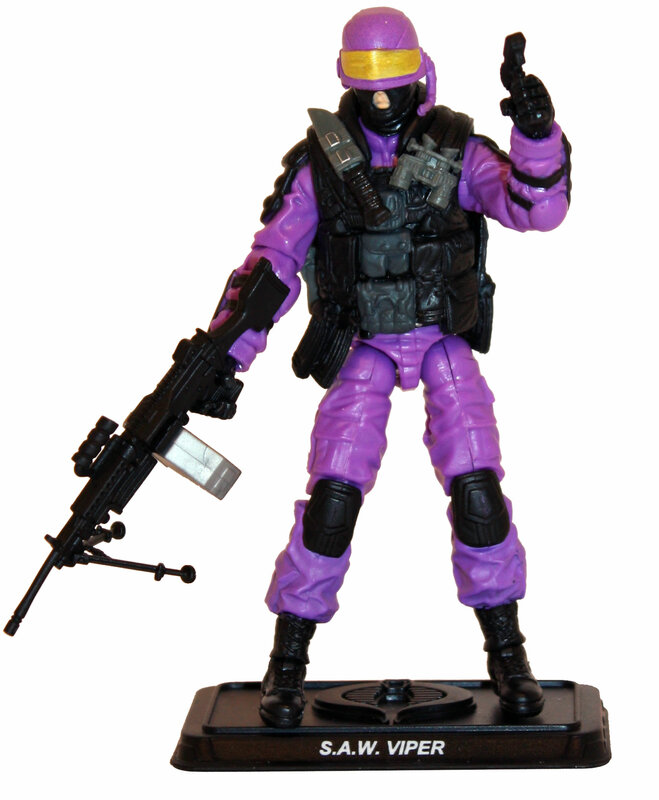 My pre-order from SmallJoes.com hit early this past week and I’ve been FLOORED by the quality of the product. 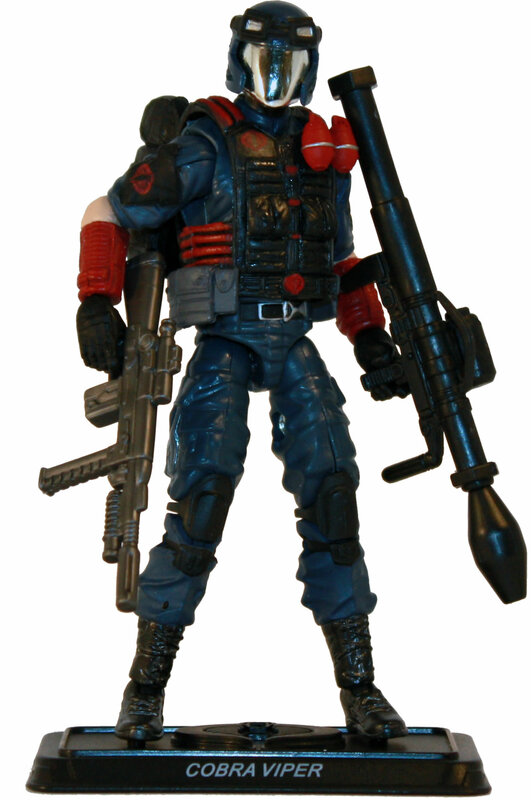 The articulation, the design, and even the accessories (which were pared down from what was originally shown) are all pretty spectacular. In many ways, the 30th Anniversary run is FAR superior to the early waves of the 25th Anniversary line but that’s just my opinion. Check out the links below. 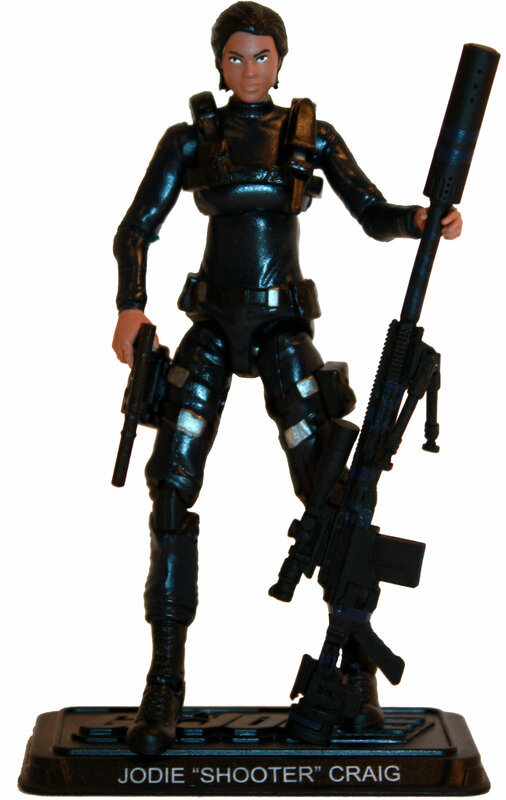 Many of these e-tailers are still accepting orders for some individual figures. 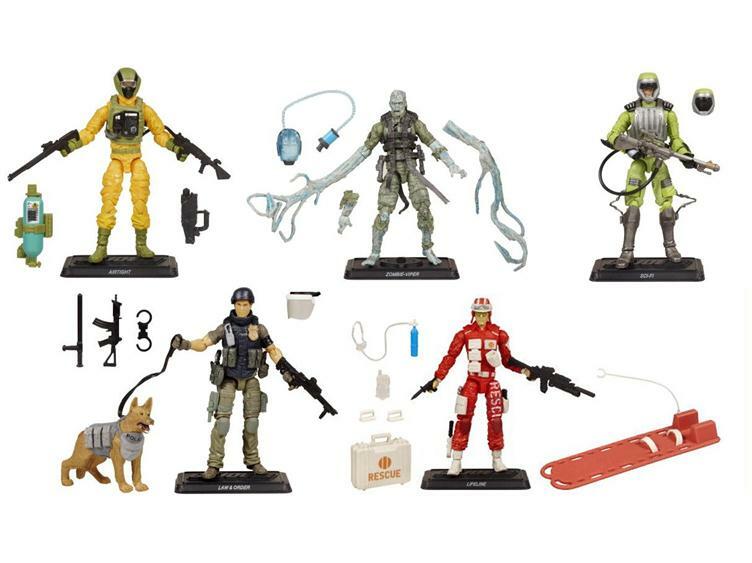 For clarification, the “set of 5” includes one each of: Lifeline, Airtight, Sci-Fi, Zombie-Viper, and Law & Order. 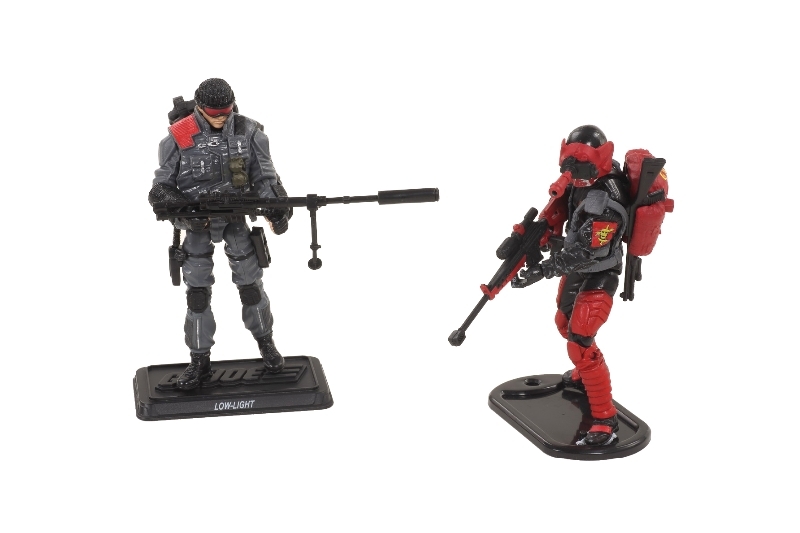 The initial case pack seems to be: Lifeline (x 1), Zombie-Viper (x 2), Sci-Fi (x 1), Law & Order (x 1), Techno-Viper (x 1), Steel Brigade (x 1), Airtight (x 1), Scarlett (x 1), Ripcord (x 1), Tunnel Rat (x 1), and Cobra Trooper (Renegades version) (x 1).